This is the adorable "Hatched" from Whimsical Ideas by Pam. I was so excited for the "H" day of the ABC Challenge I am taking part in so I could wear this! 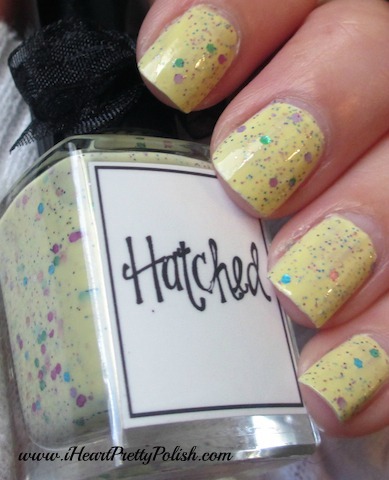 Hatched and Suess were my first "Indie" Polish purchases. Something about the Whimsical polishes speaks to me. I just love every single unique shade. So much thought goes into these polishes right down to the little bow that is tied around the cap:) I just love how they aren't mass produced in a big factory - they are created by hand by such a talented woman. You can view and see instructions for ordering all of Pam's polishes on her Facebook page (linked above). Below are the other participants in the Alphabet Challenge. You can also see the rules by clicking the "current challenge" photo on the right side of my page. OMG- this is SO pretty! It is a very pretty polish, that's for sure! It's so unique! I only have one other yellow, and I wasn't a fan of it the one time I wore it. Your pictures are really awesome! I love Whimsical Ideas by Pam. Thank you! I really like her polishes too. this mani reminds me of when i was little during Easter and we would get those malted milk balls with a pastel color and lots of different speckles all over it..... what a great indie!! This polish is adorable! Pam's presentation is so nice, all feminine and boutique-y. :) I don't know if I can rest until I have them all! I. Just. Died. So pretty! Yep, that's what my daughter said! One of my favorite Indie makers! I have eight of her polishes, including this one. None of them have disappointed me. 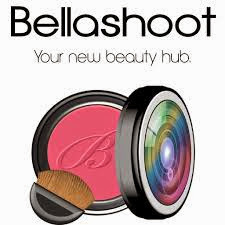 This looks so nice on you! You are so lucky to have eight of them:) I also have Suess and can't wait to wear it. I plan on making another order soon! This is so pretty!! I really like it! !